Australian governments’ policies towards “closing the gap” of Aboriginal disadvantage generate heaps of flowery prose. The policies’ impacts on domestic violence, child abuse/neglect, and crime, are at best negligible. The violence and abuse have worsened dramatically in the past decade, after also rising significantly in the prior 20 years. The absurdities of official policies are suggested by SA government spending of $360,000 on 30 motorbikes for youths in the remote South Australian desert (the bikes stayed unused in storage). At $12,000 apiece, each bike was only a tad less expensive than a Harley-Davidson XL883L Superlow, at $14,000. SA bureaucrats also bought for the remote locals five heavy-duty microwaves and six washing machines ($10,000 each); and four baby-change tables imported from the US at $2400 apiece. These are the same Ngaanyatjarra Pitjantjajara Yankunytjatjara (APY) lands where Australian Crime Commission figures show women are 67 times more likely than Australian norms to be the victim of domestic homicide, largely from bashings. In a population of 6000, 14 women were killed by partners from 2000-08, including six in 2006-08. In Alice Springs, there is quite a gap to be closed, with Aboriginal women there 80 times more likely to be hospitalised after assault than women living anywhere else. There is so much persistent ear disease in the communities that 40% (urban) and 70% (remote) Aborigines have hearing loss and difficulties. More than a third of the Indigenous children under 14 are in over-crowded housing. In remote communities, more than half the children live over-crowded. About a third of the housing is also deficient in washing, sanitation and food storage and cooking facilities. Even where new building and repair programs were active in the NT, housing occupancy would fall on average only from “the high to the early-teens” – presumably from about 18 to 13 people per house. The rate of abuse and neglect confirmations nationally for Indigenous children under 17 years has risen from 2.2% of the Indigenous child population in 2002-03 to 4.2% in 2011-12. Protection orders similarly have risen from 2.3% to 5.5%. In the NT in the decade to 2010, child removals grew from 175 to 555, a 215% increase, including a 40% increase in 2008-10. Worse, removals are forecast to escalate while availability of Aboriginal carers diminishes. Anthropologist and author Inga Clendinnen, in a rather odd comment, complains, “From the 1970s on, a relative silence promoted and policed by the Left and by a number of Indigenous activists created a vacuum in public discussion on these (violence) issues that in the 1990s began to be filled by those pursuing ideologically conservative agendas”. Examples of ‘burying’ the violence problem are common. In the mid-1990s, when half of Indigenous children were said to be victims of family violence or abuse, the Aboriginal & Torres Strait Island Commission (ATSIC) was spending only $1.3m out of its billion-dollar budget on programs to curb domestic violence – and even that small amount had to be clawed out of its multi-million-dollar travel and information budgets. The 1997 Bringing Them Home report of Ronald Wilson is 700 pages. Of those pages, only one page discusses family violence as a cause of child removals. (Incidentally, the NT Families & Children division has been arbitrarily putting Aboriginal children in and out of care, “with very little notice or appreciation of the devastating impacts of such decisions on both the children, the carers, and the natural children of carers.” So much for Kevin Rudd’s apology of 2008: “The injustices of the past must never, never happen again”). Remarkably, the same criticisms were made again in June 2011, this time by the House of Representatives standing committee inquiry into Aboriginal over-representation in the justice system. The committee quoted a Menzies School of Health Research report that interventions continue to be short-term, sporadic, un-rigorous, lacking in corporate memory and hence unable to learn from past successes and failures. Each new failure feeds into the downward spiral of powerlessness and cynicism among providers and clients, the School said. The committee said continuing government inability to identify what works and why, leads to wasted public money and bad relations between government and non-government providers, as well as with Aborigines. “The Committee insists that Australians cannot wait another twenty years to address this national crisis and urges that the Committee’s recommendations are responded to within six months from the tabling of this report,” it said. Fat chance. Nearly 24 months have elapsed with no serious response from the Gillard team. The intergenerational effects of the unsafe, violent communities may well be generating new crises in 2033. As just one example, numbers of Aboriginal children in out-of-home care through abuse and neglect at home, are skyrocketing. And there is a very high correlation between out of home care and later entry into the criminal justice system. A further factor suggesting the problems are going to spiral, is the high annual population growth of around 2% in remote communities. By 2050, Arnhem Land could have more than 34,000 people and now-small communities like Yarrabah, Qld, 6000. This natural increase will be augmented nationally by the compounding increase in Aboriginal self-identifiers. (Between 2006-11, 90,000 more people identified as Aboriginal). There are testable targets in Closing the Gap for half a dozen indicators — some important, like early-childhood mortality, and others flakey, such as enrolment in pre-school facilities (whether attended or not. NT Aboriginal children in 2010 comprised 43.3% of the child population, but represented only 10% of children attending early child care services). From 2000-10, the rate of Indigenes in prison rose 51% to nearly one in 50 (1891 per 100,000), while rates for non-Indigenes remained steady. In WA the per capita rate rocketed to about one in 25 in custody, about 24 times the rate for non-Indigenes. From 2000-10, Indigenous males in custody rose 55% and females, 47%. They now comprise a quarter of Australian prisoners. In 2008, over 40 percent of all Indigenous men in Australia reported having been charged formally with an offence by police before they reached the age of 25. Young Aborigines are about 60% of all youths in detention, and their rate of detention is 28 times higher than for non-Indigenous juveniles.About 22% of the young Aboriginals in detention are 14 or under. A hidden but crucial issue in “Closing the Gap” is the rate of foetal alcohol spectrum disorder (FASD) among young Aborigines. It is caused by excessive drinking by pregnant women. (Some women manage blood-alcohol readings of 0.4%). The children often suffer life-long brain damage and frequently get into conflicts with police. Recent findings from Fitzroy Valley community in WA (pop. 4500, 80% Indigenous) involved a sample of 127 children. Half have FASD. The Fitzroy data is a wake-up call, given Indigenous FASD has normally been estimated at a mere 3-5 babies per 1000 births , or 0.05%. Dr Sharman Stone, (Murray, Liberal Party), chairwoman of Parliamentarians for the Prevention of FASD, suspects Australian Indigenous communities have the world’s highest rates of FASD. (For comparison, in Western Cape province in South Africa, FASD rates are 68-89 children per 1000 , i.e. under 10%. Those rates have been viewed as high-end). The needs of the FASD children alone are sufficient to swamp available health services. Follow-up treatments needed at Fitzroy Valley include occupational therapy, 53 % of children; speech pathology, 53%; psychology, 50%; physiotherapy, 31%; optometry, 10 %; and dietician, 4%. Sharman Stone says, ”[The disorder] is filling jails with young kids who break the law. It is a drain on the health system and to police, and is linked to high incidence of youth suicide and chronic unemployment.” FASD is even promoting ‘cultural genocide’ as youngsters become incapable of learning their traditions, she says. The federal government is providing about $7m for FASD work. This compares with $10m gifted towards a campaign by Reconciliation Australia to promote constitutional recognitions, and $63m over four years for the new Indigenous TV channel. One scourge in remote communities is simply parental neglect. In the NT, the bulk of child removal cases involve parental failure to provide food, shelter, clothing, supervision, hygiene or medical attention. Adult drugs and gambling distract parents from supervising children, and introduce many strangers into homes Environments where there is substance abuse and where gambling is prevalent will also impact on parental vigilance and the supervision of children, and can involve entry of strangers in the home, propagating vice to children. As a much lesser health issue, a third of Aboriginal adults are obese, compared with a sixth among non-Aboriginals. Aborigines are also smokers at two and a half times the rate of non-Aborigines. How “Closing the Gap” can succeed in the face of such data, is a problem. It’s difficult even to get Health departments to cooperate with Justice departments on offenders with FASD. One study found children in care were 68 times more like to face a court than other children. Nearly half the Indigenous adults in NSW prisons in 2009 had been in care. Moreover, high numbers of inmates said a parent had been in care. In New South Wales, 9.1% of sexual assault victims under the age of 18 years were Indigenous, and 12.6% of under-18 victims of domestic violence were Indigenous. Victims of child abuse and adult violence also tend to move on to prisons. About 70% of Indigenous women in NSW gaols said they had suffered sexual abuse as children, 44% had been sexually assaulted as adults, and nearly 80% had been violence victims as adults. Virtually all those sexually assaulted as children now had a drug problem. The Representatives’ committee concluded by noting that each young Aboriginal now winding up in the justice system, is likely to re-offend and create fractured families with absent kin. (A little-recognised fact is that, for the past five years, Aboriginal deaths in custody have run at only half the rate of non-Aboriginal deaths). SO WHAT is being done about these community-safety and prison issues? There was a Council of Australian Governments (COAG) round table on community safety in 2009. Ministers agreed that unless communities could be made safe, the other big Closing the Gap targets in health, education and housing would be unattainable. Understandable, given that Aboriginal women are about 35 times more likely to be hospitalized for domestic assault than non-Aboriginal women. But at the December 7, 2012 COAG meeting, such targets didn’t even make the agenda for discussion. Fast-forward to the latest COAG meeting on April 19, 2013. It found time to consult and issue communiqués on purchasing locally-made cars and sorting out the States on the Royal Succession, but Safe Communities for Aboriginal Women and Children again failed to get a mention. Hence there is still no agreed national funding strategy for the community safety issue, despite previous pledges by the Gillard government to negotiate such a strategy. There is only the 2012 Federal “Stronger Futures” deal with the NT involving $620m over ten years. But there are plenty of National Partnership Agreements (with funding commitments) on other topics, including health, housing, early childhood development, and even “Remote Indigenous Public Internet Access”. This committee then urged that the Commonwealth develop a National Partnership Agreement for Safe Communities and present it to the Council of Australian Governments by December 2011. It is now mid-2013. Action: nil. Katherine Jones hinted at one aspect of the inertia: not only do the Commonwealth and the States pass the buck rather than cooperate, but within the States there is buckpassing and territorialism among agencies for corrections, police and justice. Katherine Jones at the time was running the AG’s Social Inclusion Division. Her portfolio ranged from human rights (whatever they are) to wild rivers and distinctions between traditional owners and native title holders. She has since moved sideways to work on combating international crime. A certain Kym Duggan now runs the “Social Inclusion Division” with its forlorn heritage on national cooperation for safe Aboriginal communities. In February, 2013, Prime Minister Gillard reported that her government is working towards ‘an overarching policy framework’ on community safety, ‘with a view to developing advice to COAG…later in 2013’. Naturally, ‘significant progress continues to be made’. I’m sure Peter Sutton would put all that in his ‘yabber’ category. PAR FOR the course in government agencies is duplications, gaps, role confusions, and funding by multiple agencies for the same thing in the same place, rather than complementary activity. Planning goes uncoordinated and with unrealistic time frames, such as rushed building of inappropriate housing. Agencies refuse to share their data, putting alleged privacy considerations ahead of client welfare. Huge staff turnovers and inadequate training arise from impossible case-loads, leaving agencies with chronically unfilled positions and poor supervision and morale. Talented staff are ruthlessly headhunted from existing jobs. One example of gaps in service is the Larrakia Nation Aboriginal Corporation Night Patrol in Darwin, described in the 2011 report. The people manning it were volunteers with no legal power, but they operated seven nights a week and picked up about 150 people per night, mainly drunks and unsupervised children. The patrol was funded by the NT Department of Justice. But there was only one 32-bed sobering up shelter in Darwin, and only two re-hab clinics, each with long waiting lists. The service needed also to operate in daytime, but has great difficulty winning funding tenders from governments. It has limped along but last year the NT mini-budget cut its funding and it was facing closure this June. In April it was rescued with some federal funding. There are many similar small Aboriginal groups in youth justice work, which are unable to negotiate the government funding labyrinth, against competition from professional white groups. He says many, if not most, of the Indigenous elite live in middle-class suburbs, marry non-Indigenes, and enjoy a professional lifestyle. Their common factor is not race or culture but descent from an Aboriginal ancestor, no matter how remotely. His priority areas would be early childhood socialization, health and education; communities safe from endemic violence; primary and preventative health care; encouraging job and social mobility between settlements and mainstream Australia; ending of heavy funding of non-viable communities; and seeking reconciliation as a personal matter rather than a collective and bureaucratic one. 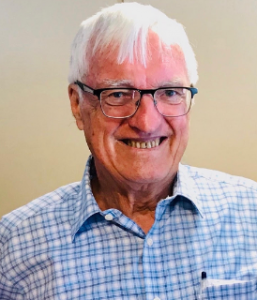 Tony Thomas studied anthropology under Professor Ronald Berndt in Perth in 1961, and in 1974 co-authored, with Dr Carl Georg von Brandenstein ,“TARURU – Aboriginal Song Poetry from the Pilbara”. In 2010 he authored “Stolen Generations: The Pocket Windschuttle”. His research on Indigenous child removals since the Rudd “Stolen Generation” apology appears in May’s Quadrant. http://www.pc.gov.au/__data/assets/pdf_file/0020/122834/Indigenous-compendium-2013.pdf Table 15.A8 and earlier.